I was reading an article on CDBaby about being overly protective of your music and frustrating your fans (you can read it here). I understand where they are coming from but they are implying that it is the only way, and I think that’s a mistake. I too used to think that this was the law when it came to attracting fans but not anymore. All because of one of the most powerful forces in the universe – curiosity. Let me explain. Check out the landing page I use to promote my music – Free Love Song. Notice there is no music. 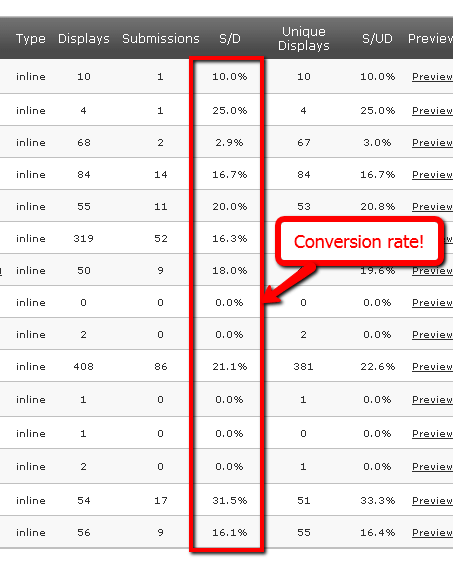 Believe it or not it has signed up over 160 fans at a +20% conversion rate since January 3rd. In other words 1 in 5 people that visit this page site become fans without hear even a note. Here are the actual stats. I just use some compelling copy to invoke curiosity (will it really melt my heart?) and some testimonials from fans and media (they like it, maybe I will too). When I think it about it isn’t much different than the record store days. Hell, there were many times my friends and I bought tapes/albums/cd’s from bands and artists we never heard of based on the album cover (or its location in the store or on the rack). Sure we got burned here and there but that’s part of the thrill of discovery. I think this proves that there are still music fans like us out there today.The best part is, they don’t risk $10-$15. Don’t get me wrong, I still have full tracks featured on my main site. I think that is a good idea for those people who do need to hear my stuff plus it is handy for me to send people there if they ask where they can check me out. All I am saying is don’t think that you HAVE to have music samples to get new fans. Experiment with some good ole curiosity. Anyway, that’s my two cents. What do you think? Very interesting that this is working for you, but I’m glad it does. I for one will not “fan” or “like” an artist I can’t listen to. However, I am a strong advocate of there not being a single, true way of getting where you want to be in your music career. Thanks Wicked D. When you think about it, I doubt there is a single, true way of getting where you want to be in any career really. Or maybe I am just reading too much Seth Godin! Either way, thanks again.